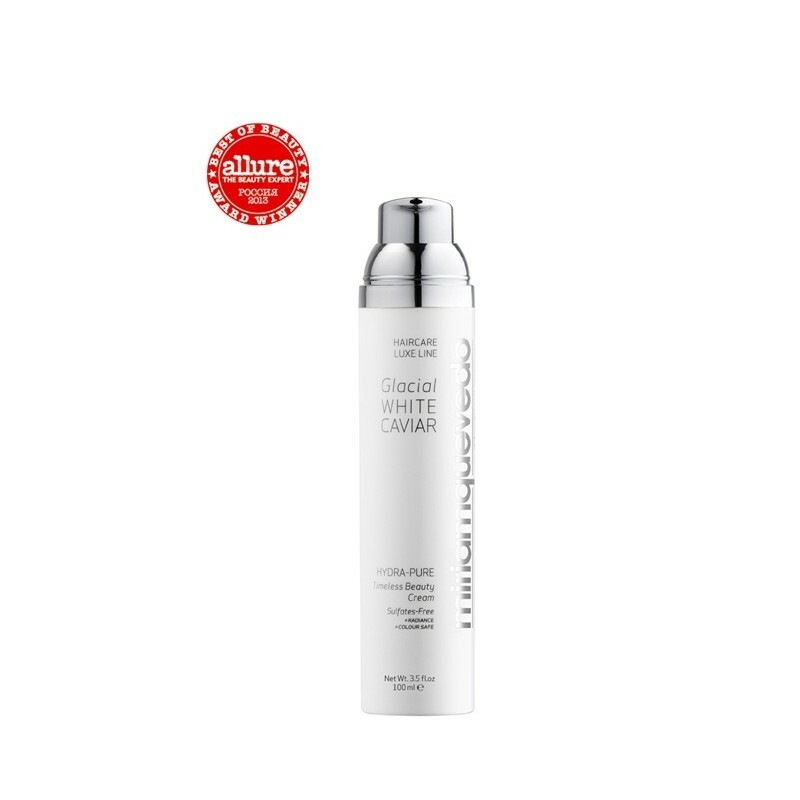 What it is: Multi-benefit radiance cream transforms damaged hair into soft and radiant tresses. 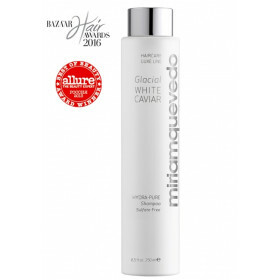 What it does: Formulated with White Caviar, Pure Glacial Water and Keratin Protection it deeply hydrates, repairs and transforms damaged hair. Protects against color fading and dehydration caused by heat, photoaging or chemicals. Precious gemstones reflect their own light and radiance for a brilliant looking shine. Leaves hair silky soft and frizz free. Who it’s for: Ideal for sensitive scalps and those with sensitized, stressed, dehydrated and irritated scalps or hair. Suitable for color or keratin treated hair. - : It acts against the hair aging process. - : It provides immediate radiance to damaged hair. 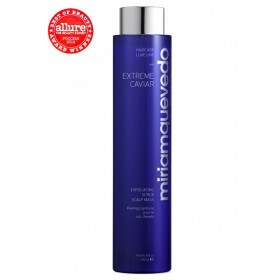 - : It enhances hair silkiness in an instant. - : It prevents frizziness and static electricity. - : It provides light and radiance thanks to its unique blend of precious gemstones. - : Color and brightness protector: color safe and recovery of natural shine. -- : Highly hydrating action: it maintains, replenishes and retains a continuous pure hydration. - : It facilitates combing on wet hair. 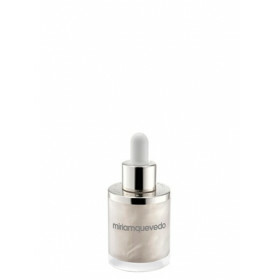 - : It increases brightness, softness and hydration. - : It protects and prevents degradation caused by aging or environmental or chemical factors, such as drying, straightening, heat, wind, and sunlight exposure. - : It rebuilds and repairs hair keratin maintaining the structure of the hair fibers to provide a more manageable and healthier look. - : With repairing, regenerating and protective properties. Apply a small amount to wet hair, and style as desired. It can also be applied to dry hair to add texture and enhance radiance. Encapsulated Swiss Glacial Water: Allows active ingredients to deeply penetrate the skin, increases cell’s resilience and survival at high temperatures. 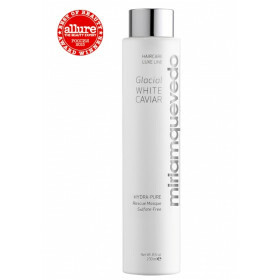 Protects against thermal aging and replenishes and maintains a pure and continuous hydration. Complex of Edelweiss, Rice and Cotton flower extracts: High antioxidant activity. Natural photo-protector with anti-inflammatory and antibacterial properties. Hair color protector. Keratin Protection & Rebuilding System: Rebuilds and repairs keratin while maintaining the structure of hair fibers to provide a more manageable and much healthier look. Acts as a thermal protector to prevent against heat damage. Hyaluronic Acid Fraction: Draws water to hair creating a plumping effect. Acts as a membrane to prevent moisture loss from the scalp. Deeply moisturizes both hair and scalp. Adds shine, increases elasticity, and forms a protective film. Scalp Hydrating and Calming Complex (Xylitol and Lactitol): Combats dryness, flaking and irritation. Provides immediate and long-lasting hydration. Betaine Amino Acid: Essential for maintaining hydration in both hair and scalp, retains up to 40% of water. Reduces irritation, protects, and leaves the scalp feeling comfortable. Panthenol (Provitamin B5): Protects, moisturizes, softens and brightens hair. Precious Gemstones: Reflect their own light to provide brilliance and radiance. Restore the natural balance of the scalp.